This handy set of tips for the iPad is one to share with students and teachers who are just getting their device. There are many great pointers from arranging apps to syncing and tweaking fonts. I use the autotext feature a lot as it can save time typing long text. Pass it along. One of the co-originators of the term "MOOC" takes issue with the definition as inserted into the Oxford dictionary. I agree with Stephen Downes, the definition as cited is sorely lacking in understanding. Surely definition writers can do better. As many move to "online assessment" of Common Core - here is my issue. From talking to teachers this summer, the main issue for teachers in schools where kids don't use technology is this. THE ONLY TIME KIDS ARE USING TECHNOLOGY is when they are TESTED. That is it. They say their kids don't even know how to scroll down or click. They say the technology is an encumbrance because it is never used except for the test. For students, the test should be about content not about how the test is administered. To test students online or via computer when they use the computer infrequently is grossly unfair and downright educational malpractice. Now, I do have a word or two for schools who don't have technology but in their defense, some of them are very short on funds and in uber-restrictive districts and states. But if a state is unfriendly to tech for teaching, it shouldn't be the first thing they run to for assessment. Students should be tested in a native environment. If their environment is predominantly paper and they aren't fluent on the computer - test time is not the time to learn hard lessons about how to click and scroll. Don't interpret this to mean that I think we shouldn't all move towards paperless and technology-rich environments - WE SHOULD. But we must be fair to students - how can they show what they know when they don't know how to use the computer used to administer the test. What we're really testing in that case is computer skills, not common core anything. More science news! A duckbill dinosaur was found with a trex tooth in it. Yes - Trex was a predator, so no rewrite of Jurassic park is needed. "You see 'Jurassic Park,' and you see T. rex as this massive hunter and killer, as incredibly vicious. But scientists have argued for 100 years that he was too big and too slow to hunt prey and that he was probably a scavenger, an animal that feeds only on dead things," University of Kansas paleontologist David Burnham said. Burnham and researcher Robert DePalma got what Burnham described as his "lucky break" when they found the fossil of a duckbill dinosaur's tail with a tooth in it." Scientists confirm new element after atoms collide New Element #115 has been announced but is not officially "approved" (which must happen before it is added to the official periodic table.) Scientists "slammed calcium atoms into americium." Then, the element vanished quickly into a flash of radiation - but scientists could measure it. It has 115 protons at its center so that puts it at 115 on the table. This would be a great one for classes to discuss in chemistry. Neat topic. Cool little "tidbits" of knowledge. If you like to have neat "hooks" before your lessons each day, zidbits might have some cool things for you. "What is the hardest language to learn?" "What is the most lethal poison?" These are just a few of the cool little facts. They have history, science, health, and news featured on this site. Enjoy. Excellent post by Eric Sheninger about what parents should do when starting back to school. You should share it with your staff. Falling is scary. Most of us fall down sometimes. I can trip and fall flat on the ground. What about failing? Children fall a lot - especially when they are learning to walk. But falling, as we get older, is something we really try to avoid at all costs. As bones get more brittle, we are afraid of not getting back up or of getting really hurt. Let's get one thing straight. 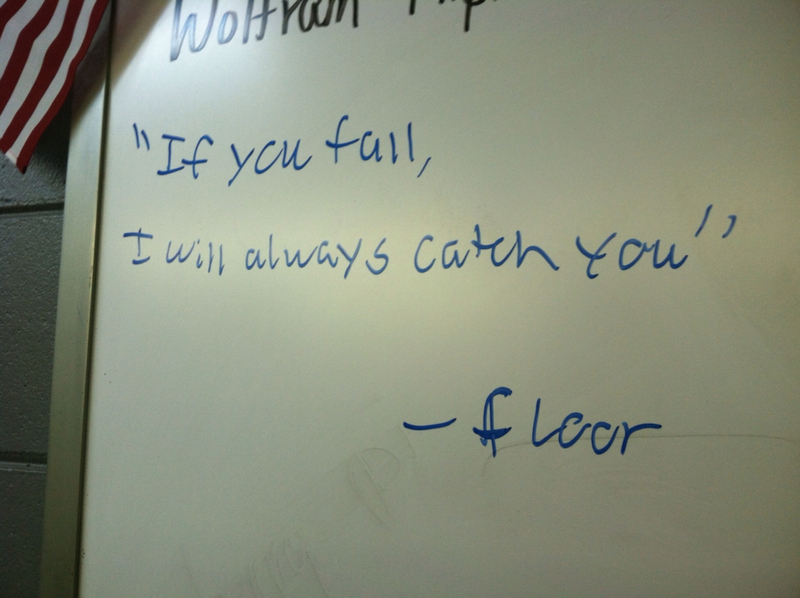 Failing and falling aren't the same thing. It is odd to me that kids (and adults) don't mind a "fail" in a video game. In fact epic "fails" go viral on the Internet as people mess up and do dumb things that are laughed about later. I don't receive any benefit at all from giving an "F" for failure. To me, an F represents something I haven't taught. Now I know many teachers have their rooms full of kids and it is very hard to get to them all. But an "F" of any kind puts a bulls eye on a student for me to give them extra attention so they can understand. Maybe I shouldn't feel this way, but I do. It is part of my teacher DNA that I want every student to learn. Every single one of them! Are you tough or are you just not teaching? I heard someone talking once about how "tough" they are as a teacher: "you make what you make, I don't drop grades, I don't go over homework - learn it or fail." Such an attitude puts all of the responsibility for learning on the student. While I do expect my own children to "own" their learning - I also know what it is like to parent kids with LD. Most teachers who say such things are what I call "worksheet wonders." You wonder how they could teach at all without worksheets. Ten neatly completed worksheets in a class period doesn't mean you've taught anything. For some kids, interacting with words on a page is as meaningful as listening to Charlie Brown's teacher. I used to have a couple of worksheets a day in my class... a long time a go when I first started teaching. Because I thought that worksheets meant I did something. I thought that was how classes and teachers were measured. Now, I care more about what gets into the minds of my students and what can be applied by them. That said, I know some extremely tough teachers but if they give homework or they give work - they give feedback and do go over what kids miss. They are tough but they still teach. These teachers are as good as gold. But there are some teachers who brag about being "tough" who I think are being rigid and aren't teaching at all. There is a difference between being a tough teacher who expects a lot out of kids and pushes them to be more -- and being tough to pass because the teacher is so unhelpful and provides little feedback. I would consider myself "tough" as a teacher in that I don't allow any student to disengage and do nothing. They must be working on the task at hand - they don't have a choice to doze off or disengage. I consider myself tough because the work is due when it is due. Period. No monumental extensions - get it done or be late. When it is late, I do take the work but not for full credit. I consider myself tough because I expect to teach my students tough things that "high school kids aren't supposed to be able to learn." Sometimes people look at my curriculum and comment that it is more like a college course. Yes. It better be. I want them to be world class. But I also consider myself tough in that I'm going to be after anyone who tries not to learn. I'm going to pursue relentlessly those who think they can't do it. I'm never going to quit trying to teach the kid who things they are unteachable. I'm tough because I never quit. Yesterday I had some kids that just weren't getting a concept I was teaching in computer science. As the other kids moved on to continue their computer "dissection" project, these kids stayed behind with me until we understood and grasped the concept of the CPU, heat sync, and the quality of components. They had said, "I just don't understand stuff like this" and "This is another language to me." It wasn't when we were done - they did get it. The walls were knocked down and we moved on. Good teachers are a wrecking ball against any obstacle that keeps kids from learning. I don't care that this stuff is "geeky" and some consider it irrelevant - some of you are teaching squinting modifiers and drawing molecules - those things are geeky to. ;-) No matter what I'm teaching, I want every child to learn it. Every child must. As a teacher we must be bold advocates for our subject, whatever it is. An "F" means I've failed at teaching. I wish I didn't feel this way, but I do. But then again, I'm the scorekeeper. I don't "give" grades - they are earned. When kids pursue of failure. And sometimes some students really try to get that F. They try so hard. Often it is a poor self image - "I'm a failure so I deserve an F" is a part of what many of them think. If I can talk to kids and get at the root of why they are pursuing an F because in my class, very often, I've seen self sabotage. If it is a psychological reason they run towards failure, I can often get at that and they can do what it takes to pass. When kids have a magic number in mind. Most kids know in their minds what grade they think they "want" and will often apply they brakes if their grades are increasing too quickly. (Why do they do that? It makes me so mad!) I've often found that this number is near what their parents expect their kids to make. This is also something to tackle head on with kids individually when it happens. So many F's or kids not performing up to ability can be handled privately when you get at the driving reason that it is happening. When kids need to be held accountable. This is my 12th year of teaching. I've only a handful kids EARN F's. Notice I didn't say "given." I said earn. After I lie on the battlefield spent and a student refuses to turn in the work they've promised and refuses to let me help - I will give them the grade they've earned. In every case, each of these claimed and swore to my face that they thought I'd "give" a passing grade to them. I don't "give" grades. Period. I told them that the world doesn't "give" you anything and I won't either. You might as well learn that now. You get what you earn in the real world and giving someone a grade they don't deserve is a disservice to the world. There is a time to let a student earn an F but we don't "give" grades in school to anyone - not if we're a teacher worth anything. I'm lucky because my administration has always supported me and always been very involved when this happens. I know teachers who have had principals take the grade book and change those grades. But my administration was in the loop and knew what was happening. The parents all knew and the student knew - holding breath and holding out that I'd "cave" and "give" the C -- nope, doesn't happen. Not here. I tell my students that "you are not your grades. You may make an F in a class but you are an "A" as a person. I believe that you are all made to be "A's" and --in my own belief system I believe that 'you are God's workmanship' -- but it is your choice if you're going to work on your own ship. Are you going to be the "A" you're designed to be. And being an A as a person often has little to do with the grades on your report card." I think we all as teachers must sort through our opinions about failure. 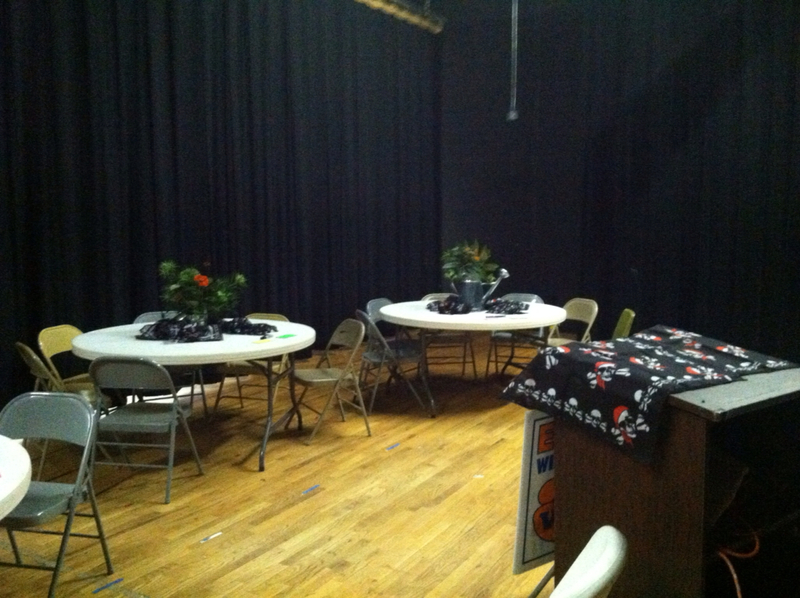 I do find that there are taboo's and things that teacher's won't discuss at the lunch table. One of those sensitive areas has to do with "being tough" and "dropping grades" and how we grade because each of us have deep seated opinions on this one about what is the right way to grade. It is not bad for kids to see it done many different ways because they'll have many different bosses and life isn't always consistent and fair. But what needs to be understood by every teacher is our own perspective on "the F." Wrestle with it now and know what you think. It is vitally important that we are ready to cope with it. I've never put an F on a report card that didn't cause me to be very upset. It isn't something I've done easily or with gusto -- it always hurts because deep down I feel I have failed in some way. But ultimately, if a student has earned it, the best lesson I could teach is to let them earn it -- at least in my class. If you read Ecclesiastes - there is a time for everything and I would read that sometimes there is a time to be tough and allow a student to earn the F he or she deserves - but those times should be few - very few. Just ponderings from a tough teacher with a soft heart. What are your thoughts on "being tough" and "giving F's" versus "earning F's." Please share in the comments so we can see other valuable perspectives. I'm sure many of you wrestle with this like I do. Once you set up Skydrive on Windows 8, you'll want to active Skydrive on IFTTT.com if you're using it for automation (I've written about this very cool app before.) It has many cool things that you can do (many like you can do with dropbox.) I'm using Skydrive for some things with school. If you have Windows 8, Skydrive is very useful. Here's a list of the apps that work with Skydrive. One Note is one of the most useful for students. Is a teacher's non-use of technology an excuse to be demoted? And thus school has begun. I have a mysterious little bird - always writing these messages on my board. I know who the bird is but turn my back and let it happen. But I thought of it this morning as I thought of an apparent major decisionmaking fail brought to my attention this week. This week a teacher came to me asking me to help a friend. 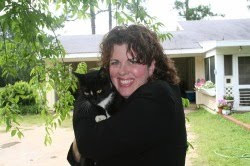 "The best AP lit teacher I know has been 'demoted' because she isn't using technology. The administrators are afraid that they'll 'get in trouble with the state' if they see she's not using any. Give me ideas to help"
So, that's it...no coaching... no advice...no help - just BAM - you're going to teach a younger grade even though we know you're the best AP lit teacher we've ever seen. 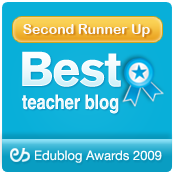 If you read my blog, you know that I love and enjoy technology and using it with my students. But I find this repugnant and ridiculous. Yes, we need to help every teacher use technology but it is about what technology helps you DO. Does every class use paper? Did we judge classes that used less paper as being substandard? There are ways to use technology in AP literature but it is AP literature not AP tech-ture for goodness sakes. I could require every teacher to use an ipad, but if she uses it to hit her students on the head - does the mere presence of ipads mean it is put to good use? A teacher without ipads who doesn't hit her students is better than a student with ipads who leaves them with bruises. Are we honestly going to let the presence of an electronic device determine the merit of a teacher? I'm hurrying up as best I can to finish my new book Reinventing Writing for just this teacher. But in the meantime use technology where it makes SENSE. This is the thing that bothers me about state mandates. Sometimes people take things and use them as an excuse to disengage their brain from their eyes and blindly misinterpret the intention of what is happening. Yes, we all should be using technology. To me, the larger question is -- looking at a school -- will the student come out technologically savvy? Will they be fluent? Can they invent and create using it? Can they be a lifelong learner with technology? Even more important - HOW are kids using technology? Are they using technology to solve problems or are the computers basically there to program kids? You know it is true. Some schools have technology all over and not one single ounce of creativity. Would that "rank" well with "the state?" And here, you have a teacher using tons of creativity and shunning technology with an almost 50% pass rate in her AP class (far above the percentage of other teachers at that school from what I hear) and yet, somehow the fact she isn't using technology is a bad thing. Does the pass rate mean anything? Honestly, if they want kids to use technology - they should buy them all ipads and get it in their hands. It is the school's fault not the teacher's if they aren't putting it in the hands of kids. 1- Giving technology access to all students. 2 - Adequately training all teachers about the effective use of technology (not just buying subscriptions to the latest drill and kill software package and calling that enough). 4 - Having a vision a school is supposed to be - conveying that vision and owning it with their decisionmaking. 5 - Supporting great teachers and helping them continue to thrive in a new era. 6 - Supporting students and keeping a focus on them. I'm sure that those of you who study this for a living will think of more. I am just angry that such foolish, ridiculous decisionmaking would be made and that technology would be a hatchet to remove a great teacher from a classroom where she and the students are successful. Arbitrary decisionmaking like this is what has gotten education into trouble through all these years. Technology is more important than ever and I hope this will also be a wake up call to teachers. If you could see your administrators doing this, it is time to do something that makes sense. Use technology where it works and will help you improve learning -- but find some place - I'm sure there is a place where it can help you teach. It is worth the effort. Some will applaud this day that technology is being used as a ruler to measure teaching -- but honestly, teaching is the only ruler by which we should measure teaching. What are kids learning? What are they doing with what they learn? What are they creating? Can they solve problems in this field of study? Are they learning the habits that will help them be successful in their future? Teachers - you can do this. Learn about technology - Twitter is a great place to start. Find the hashtag that fits with your field of expertise. You can find ways to integrate it into your classroom. You can't do everything but you can do something. It is important to do it for the kids. But realize that if you don't, it is going to have a very real impact on some of you. I can write all day long but it won't impact the back rooms where such arbitrary mandates are concocted and one such thing may come rolling your direction. But I've always found the best things I do in my classroom - I do out of love for the kids not fear for my own career. Good luck and get at it. You rock, teachers. You're important! Let's teach! What are your thoughts on this? Do you see this sort of decision making happening in other places? If you want to record your Google hangouts and post to your YouTube channel, you need to get started with "Hangouts on Air." HEre's the page to get you started. Note that Google plus isn't available for Apps for education so you'll need to use your personal or another gmail account with a Google plus profile if you want to record and share your class hangouts. 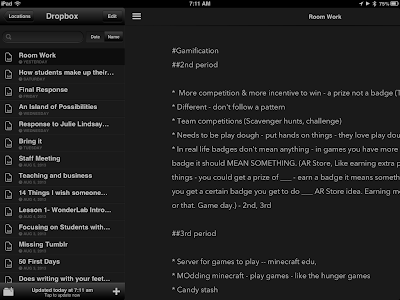 Great ideas for using Google Drive, calendar, docs, forms, groups, and more in the classroom. A nice, public, presentation. If you have Windows 8 in your lab. you'll want Music Maker Jam - a sort of Garage Band" for Windows 8. It doesn't seem to have the complexity but it is a great thing for creating and has a whole different feel. Install it in labs for students to mix their own music. Another great app for Windows 8. The Weather channel. If you have Windows 8 and touch screens like I have in my computer lab. Fresh Paint is one you'll want to have. It supports up to 5 fingers and you can mix colors. Yes, there's an in app purchase, but I'm going free for now. Sort of like an Art Rage. The Google Search app on your start screen. I have Chrome but also want to have this search engine (in addition to Bing) on my Windows 8 computer start. Here's instructions on Google now within Google Search. I'm setting this up on my ipad and iphone to play with it. I've heard it is a good substitute for Siri if you have an older iDevice that can't get it. Google now is worth installing on iPad and iPHones and you can get it even if you don't have a Droid phone. This instruction at PC mag tells you how, but it is part of the Google Search app. Download that and follow these instructions to set it up. There are privacy concerns so I wouldn't do this with students. Educate yourself but you might just get a handy personal assistant. Misunderstandings happen. They happen on Twitter. They happen on Facebook. They happen in our lives. A few weeks a go, a teacher, Shawn White contacted me through direct message on Twitter. He and I had exchanged a tweet on a Friday night. Then, I got up Saturday and started continuing to write a post I had started earlier in the week. This post turned into "Questioning Rigor" and was prompted by Dave Burgess' ponderings in his book Teach Like a PIRATE. Meanwhile, Shawn had messaged back and somehow the conversation had turned to this term of Rigor. Shawn feels that "vigor" is a better word to use and expresses it well in his blog post and also at the beginning of this recording. I understand his argument. Well, our tweets, and my post were all sort of happening at the same time. He had texted me a link but I hadn't read it yet. I was offline writing and then posted my post. Shawn was offline when my post went live but got on later and after we had conversed a bit, heard I had written a post. At the time, he was a bit curious and perhaps a tad upset that I hadn't cited our conversation although later understood what happened. Fortunately, he reached out to me on Twitter DM. He reached out for two reasons. First, to make sure that I knew that although he'd read Dave's book that his own post came out of his own thoughts and wasn't a knock off of what Dave said since Shawn hadn't gotten to that part of the book. Second, he just wanted to ask or let me know on the misunderstanding of his part as to my timing of the post just to get it off his chest. I went back and looked at all the timings of the tweets and my post and realized that it was one of those things were two people really were thinking about the same thing at the same time. Similarly when Shawn pondered his own post - he knew that although it was in Dave's book that he had come up with what he said before he read that part of the book. So, if Shawn and I both knew that we were OK in our timing and our motivations were true. Why should we do anything about it? Why should we be transparent? Honestly, there was no need to write this post. There was no need to have Shawn on my online show to talk about Vigor and Rigor and also discuss what happens when we have misunderstandings on social media. EXCEPT. Except that this happens all the time. It happens. It happens even more now that social media is part of our lives. I'm not going to say it happens ALL THE TIME with me, but perhaps 2 or 3 times a year. Someone might tweet me a link and I don't have time to read it (I star them to Pocket and sit down and read links in the evenings b/c my students are my focus at school.) But in the meantime, I write or share something that I've been thinking. Then, I get a message "but my link was on that too and you didn't cite me." Well, I didn't cite you because I hadn't read your post yet. It isn't a brushoff - it is just the reality of how all this stuff works that we can't pay attention to everything. So, what was different about this time? First of all, Shawn talked to me privately. It took 4-5 Dm's but he shared his thoughts and questions with me. That took a lot of courage and transparency to do that. "whatever the outcome after I look back at what happened, I like this guy. He's courageous, transparent, and open and that is a trait of the kind of person who needs more attention in social media." Then, as I looked, I figured out what happened (as I shared above) and was open back with him. By this time, he'd already realized that there was no intent and what had happened and wanted to move on. Yet, then it opened up discussions about being honest and transparent about this. In my opinion, Shawn handled this very well. I hope my own behavior stacks up as well. So, Shawn agreed to go on my online show, Every Classroom Matters, and we talked about the misunderstanding. Meanwhile, after I listened to the show, I was a bit bothered and realized that if I would have included Shawn's Vigor instead of Rigor post, why not go back and add it anyway? If I see now that I would have included it, this is not a book, this is my blog and I can go back and add things as I see fit, so now, his post is at the top of the post where I would have put it had I read it in a different order anyway. Now, I have someone new I follow more closely. Shawn is really a cool person and a courageous educator. I'm glad that I've gotten to know him just a tad better and hope to meet him in person. I'm also amazed and proud that he had the courage to openly talk with me about the misunderstanding. Most would just sweep it under and move on. Sometimes misunderstandings arise when no one even DOES anything but circumstances happen. But you don't have to let it go. You can talk about it. Here's how. 1. Look at the person behind the misunderstanding. You know what kind of person they seem to be. Is this their persona. Would that person even care if such happened. Do they know you're there? If they haven't replied to you or had conversation, the likelihood is no. But, if they have followed you and engaged in conversation it is probably worth taking the next step. For example, I think Michael Hyatt is great and follow him on Twitter. But he doesn't know me from Abraham's goat. Honestly, I don't exist to him. I'm ok with that. I learn enough from him to make it worth my while. I'm not going to say that Michael doesn't have time for us "little people" but I will say that with all the dm's and people begging for his attention - besides the mention or two, I'm not that desperate to do what it takes to get his attention. I don't get into this idol worship sort of thing that seems to happen with the top bloggers. I learn a lot from his Platform University and that is great. Should I get to shake his hand and say thank you in the right venue, I will. But I know that I'm small potatoes in his area of expertise. My audience and network is educators and teachers and it thrills me to no end to be trusted by many of the best of them. 2. Reach out if it is appropriate, privately if possible. I appreciated that Shawn DM (direct messaged) me. For those of you not familiar with Twitter, this is one of the best things about following cool people. You can send private messages to each other that often get read (if not overused.) I'm very careful to never use spambots to dm my followers and treasure that conduit by only using it for essential communication. If someone doesn't follow you, you can't dm them. You could reach out publicly and let them know you'd have a question not for public view and if they're savvy, they might follow you so you can be private. Honestly, though, if they won't follow you, it is likely they don't care what you have to say, so you can just move on from there. Some of the maddest things I've ever encountered is when people expect me to have bad intentions. When they actually think I'd try to do harm to another person. It is infuriating and a mischaracterization of who I am as a person. So, when you contact someone, do it in a way that lets them know without accusing or attributing bad intent. Word choice is important when you only have a few characters so ponder them. Be open to the fact you might have misunderstood. If you handle it well (like Shawn did) you might actually earn the respect of the person you're reaching out to. Of course, if someone treats you like "who do you think you are" you decide if you'll unfollow. It is likely that they're a very busy person and had no idea. You can move on. But you make your choice. If this happens a lot with one person, you'll have to make a call. You can probably figure out if they're reading your work or if they're a spambot. Sometimes when you get copied a lot it is a compliment. I've found that "thin skinned" easily offended people tend to look for offense. "People don't think about you nearly as much as you think about you." "If you wonder what others think about you. They don't." In a world of people who are thinking of themselves, think of others. If someone reaches out to you asking about a possible misunderstanding, don't brush them off, look at it. If you have something you really think it is a problem, reach out. Honestly, you might just make a friend. 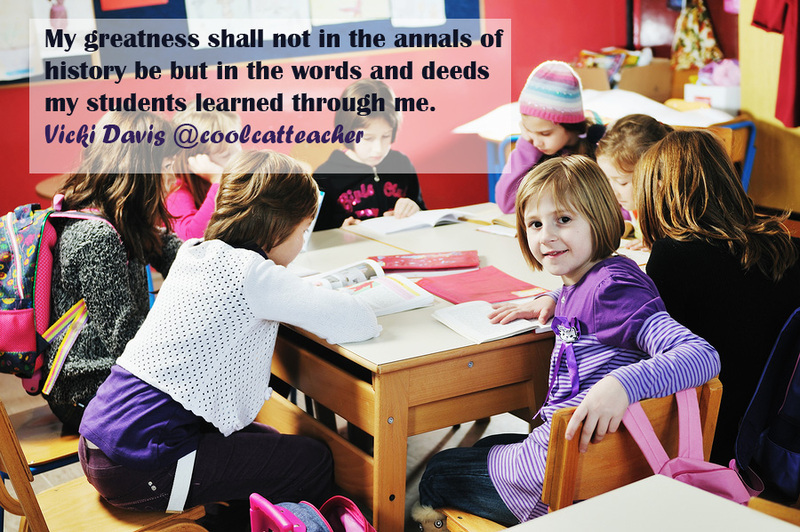 Remember your noble calling teacher, we teach with our actions much more than we teach with our words. Have you ever had a misunderstanding on social media? If you shared about it on your blog or want to talk about it here in the comments, please add to the conversation. You're always welcome here to teach with your life. Include your Twitter handle so I can find and follow you too. Thanks! I read Joel Comm's book Twitter Power and it has been one of my longtime favorites on the topic. Here he talks brutally about the negatives of social media. I admit the topic caught my attention. I"ve just found that if I'm brutal about who I follow and make sure they're real educators, I'm usually pretty happy with my stream. I unfollow junk as soon as it is evident it is junk. Ultimately we all must guard who we follow or we might just find ourselves following the garbage truck. Dead drops.com has a list of dead drops around the world. Some of my students brought this in as a maker project that they want to do in Friday's #geniushour . Honestly, I'd never heard of this and I'm not sure what I think about this. It could easily be used for great things - sharing photos or making a time capsule of sorts, but it could also be use to pirate files. It is interesting what happens when students bring in ideas. Systematic planning and organizing is the hallmark of many successful people I know. The system can be simple or complex. But if it doesn't work for you, it is useless. That is one problem with some of the technology - it gets is sucked into a system where we're just playing with the system and not getting our work done. I've got my own system for planning and thought some of you might like a glimpse into the elements as you fine tune how you'll keep up with things. Here are my 3 essential elements for TASK management. I use Nozbe to keep my list of everything that needs to be done. But this is very comprehensive and has a lot in there. In order to prepare for my week, I make a list by category inside my Planner pad so I can keep up with what needs to be done THIS WEEK. This list is shown above. This small goal setting / task setting activity takes my monstrous list down to a doable list of important things to get done. 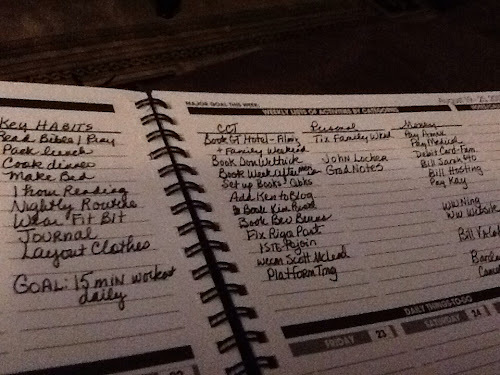 I make this list on Sunday evenings to prepare for the week ahead. One of the most important things I do with my day I gleaned from the book "Attack your day." There is a powerful principle in that book about planning out what you'll do at each point in the day. 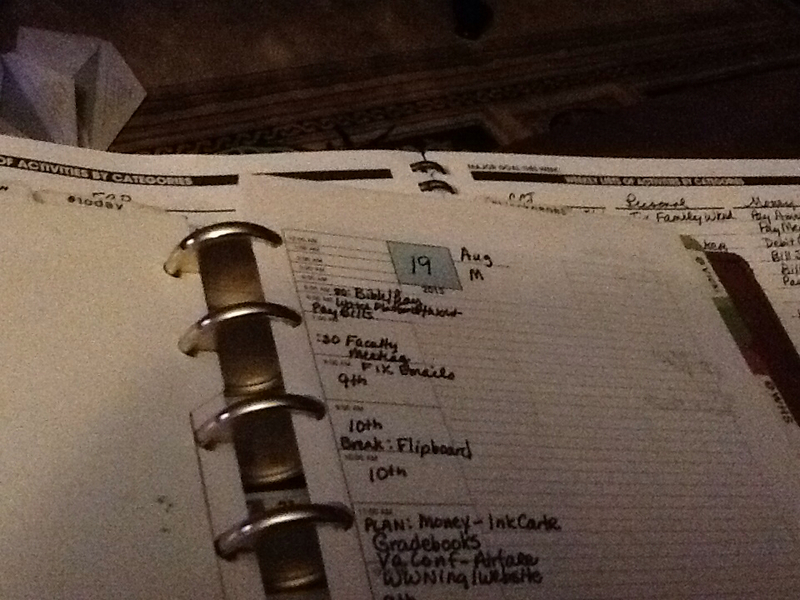 I love the principle and it made a difference for me, but the forms in the book don't fit with my planner system. So, I plan out on the left when I'll do what and then on the right I journal exactly what I did instead. This is such a powerful method because I am able to compare the plan with actual. Also, often when I know what time I'll do what it is more likely to get done. Also, I only pick 4 primary items that HAVE to be done. I do have other items on the list, but the Key 4 are the essential item that I know that I have to do. At the end of the day, I have a system to look at today's undone items and my weekly master list as well as anything in my day that needs to be handled. I go ahead and plan when I'll do what. I take 5-10 minutes each day to plan tomorrow. Again, I do this at least 4-5 days a week.The days I don't plan and scan, I always feel like I start off the next day behind. I'm convinced that each of us must create a system that works for us. We do need to use research proven methods to help us do what we need to do. Things like scheduling time for important tasks and keeping a master list are both examples. I do have my calendar in Google but the process of writing it into my planner helps cement what happens when. I'm a visual person and the process of writing helps me determine what I'll do. What system do you use? Have a system and be intentional. I've seen people with an index card with 5 goals for the day and others who have complex systems. The point is that they have a "system." They have a systematic way to keep up with commitments, appointments, and work towards integrating habits into their lives that will help them be successful. Think about your system and be intentional. Do you mind sharing? Music has so many uses in the classroom. After being jolted awake by Dave Burgess' Teach Like a Pirate wisdom - I realized that there are so many aspects of the mood I need to use in my classroom. I now use music for many purposes. When students are doing something a tad stressful, the Carribean calypso music is so relaxing, they just relax and get it done. When they are brainstorming, peppy music that they like gets them thinking. If they are making - it makes them more creative. There's a time for all types of music in my classroom. Like some choose wine for the meal, I choose music for the task. Sometimes that means the students pick. Other times it means we create a special station on Pandora and enjoy it. Here's what I've found that I love the most about music. I have always used a timer in my classroom to keep us on track. Otherwise, we'll just spend forever brainstorming - which isn't a bad thing - but I do have things to get accomplished with them. The problem with the timer is that no one pays attention to it. No one really knows how long 5 minutes is or 10 minutes. It isn't tangible. Now, I say "Ok, we're going to spend 2 songs on this." Most of the songs are around 4:30 or so. The students listen but they also know that time is passing. They tend to more creatively, enthusiastically get their work done. Music not only sets mood, it marks the passage of time in a way that students understand and respond to. I love it. I've always used it, but I haven't always used it in all of my classes pretty much daily. My classrooms works better when it is on. I have guidelines for music when students pick it. I explain that I'm accountable for the words so I have to be able to understand them. I also ask them to help me keep it acceptable for school. If they break trust with me, the person who picked the song or music can't pick again. Students who are put in charge of music for a day in my classroom should make a playlist. This "pick one song at a time" is a real time waster. They should make it ahead of time and have it ready to go. Quite of my students have a "computer class playlist" they have just for me. I prefer NOT to do youtube playlists because of the bandwidth of the video. It also tempts students to want the videos to play and I find it distracting. There are also some things in some videos that just are not OK for school and there's no way for me to watch those ahead of time. The teacher next door shouldn't hear the music. Period. How do you use music in the classroom? So, this is a short post and on a simple topic. But this one simple thing has made a huge difference in my classroom. I'd love to hear what some of you do with music in your classroom. 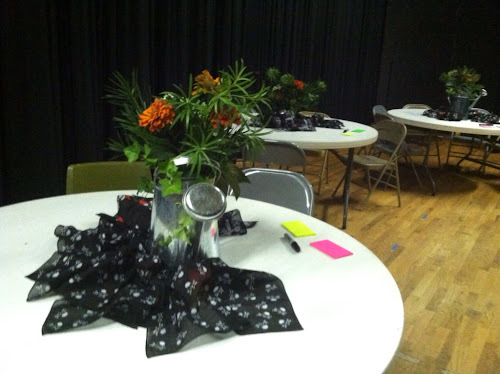 Erin Klein has great ideas for redesigning the classroom. I'm interviewing her this week for my online show (to be posted soon) about aesthetically pleasing brain-friendly classrooms. Take a look. The free movie program for Windows is Windows Movie Maker. This is a link to the version for Windows 7 and 8. It doesn't come loaded but you can install it for free. Watch out Silicon Valley. You may just need to relocate to... you might guess it.. Ok - maybe not -- the UNITED KINGDOM. This country gets it. Kids will start learning programming at age 5 in the UK. This is a big deal and something visionary schools will wake up to and understand. The Maker Movement is here. What do 3D printers, Rasberry pi programing units, scrapbooks and woodworking have in common? They are all part of the Maker movement a growing effort to reinvent creativity by letting kids and people create. 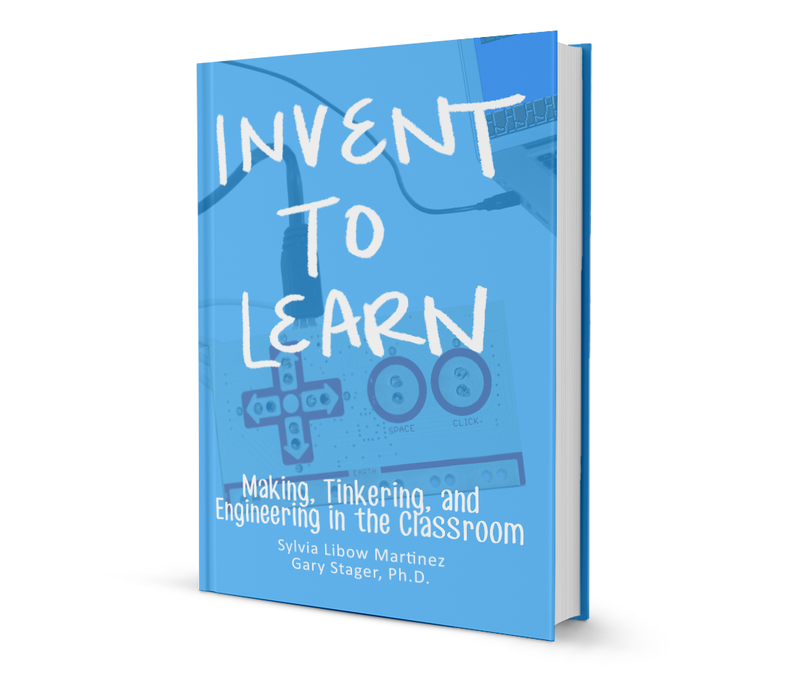 Libraries are incorporating maker spaces and many people are reading the book Invent To Learn by Sylvia Martinez and Gary Stager. If you want to know more about this movement, take a listen to Sylvia Martinez (see below on how to listen). We talked about how this method can positively impact our "STEM pipeline" and how we can foster the love of problem solving in many ways in the classroom. We also discussed managing maker spaces in the classroom and the many technologies being used in the maker movement. I learned a lot and highly recommend the book. Don't think this is a movement that is something new. It is actually built upon some profound research into how we all learn. 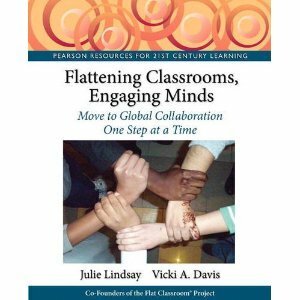 I think every education professor should read this book as well as principals, curriculum directors, and librarians. Innovative teachers will want to read it as well. It is a book full of research and citations. The authors don't write something without backing it up in research. 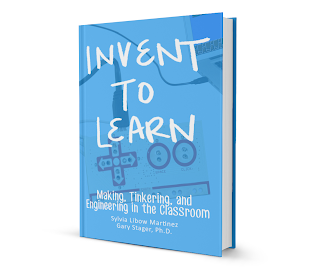 I do admit that I'm halfway through and have sometimes flipped to the back -- I'm totally sold, I'm just getting into the "how" now and am sure I'll be sharing more as I build my own maker spaces in my classroom. In many ways, I already have these spaces but need to utilize them better. This fits very well with Genius Hour work, in my opinion. If you need help getting started with listening to the show or are having problems, see the Podcast page for a tutorial. Here are some notes and resources that will help you understand and discuss the concepts discussed in this show. Disclosure of Material Connection: Some of the links in the post above are "affiliate links." This means if you click on the link (for the book mentioned) and purchase the item, I will receive an affiliate commission. Regardless, I only recommend products or services I use personally and I believe will add value to my readers. I am disclosing this in accordance with the Federal Trade Commission's 16 CFR, Part 255: "Guides Concerning the Use of Endorsements and Testimonials in Advertising"
I'm testing cel.ly right now. Here's the instructions about how to use cel.ly for creating quizzes. Of course, all of your students will need access to a phone to test this, but it does have basic information on how to do this. This is cool. This is the only way I've found to access Google calendar on Windows 8. The two companies, Microsoft and Google, aren't working together. This is not smart for either of them, I think, but I'll work around it for now. 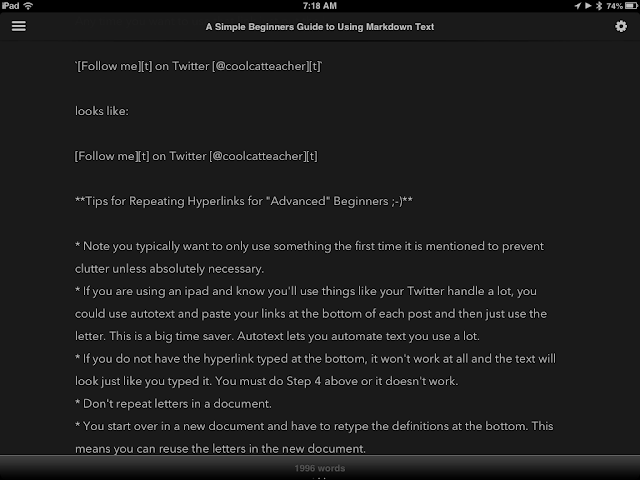 With this post, I’m learning about markdown language and teaching you at the same time. I am a beginner at using markdown. I’ve found that the blog posts I write when I’m a beginner are more helpful to other beginners because there are things that more advanced people forget. This is going to be true because markdown requires spacing rules that I will forget once I’m an expert and they become second nature. easier on my eyes and doesn't wake me up if I'm writing at night. to type and format at the same time. 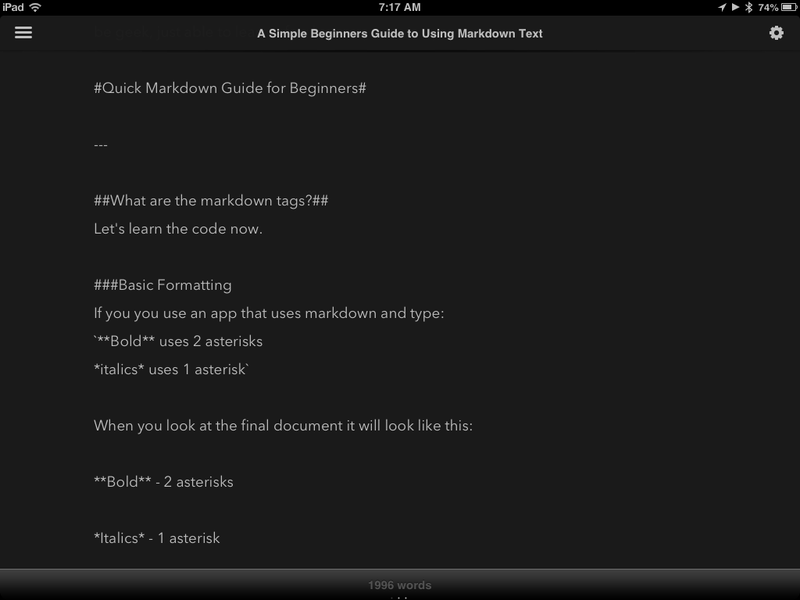 Markdown is a simple way to format. When the Internet began, some of us geekier types wrote in html or the language of the web. This was hard because if you forgot one bracket, your code wouldn’t show or it would mess everything up. Markdown is forgiving and pretty simple if you play with it. Now that the web is maturing and many are moving to tablet devices, we’ve realized that it really is more efficient to keep your hands on the keyboard. It is funny that we moved from the keyboard to the mouse because it was easier to use the mouse. Then we moved from the mouse to touching the screen because it was easier. Now, we’ve found that for some things - particularly text-rich activities like typing this post - keeping your hand on the keyboard really makes sense. Don’t get stressed. If you want to be more productive and you use Evernote or Blog or you write anything, you might want to use this. If you’re not there yet, just be aware that Markdown language exists and know that it is just a special way of formatting. I’m using Byword. It is an app that lets you type without any toolbars or headers. I use it on my ipad. I use the markdown language to type adding the symbols as needed. If you pay for the premium version then you can post directly to Evernote , Dropbox, Blogger, or Tumblr. 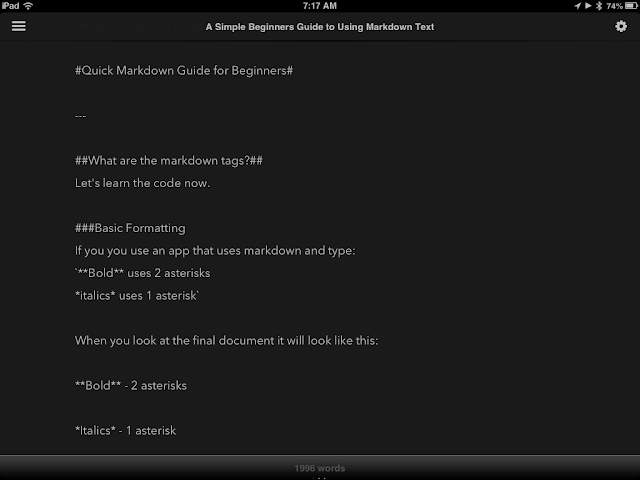 There are other apps that use markdown. It is writing for smart people… you don’t have to be geek, just able to learn a few keys. How do I use Markdown? I intentially waited to post this blog for a week to make sure it is something I use. I do use it. In fact, I'm using it daily to take notes (see the notes above from some student brainstorming we did this week) to draft emails, and to draft blog posts. All of the blog posts from this past week were drafted in Byword. What are the markdown tags? Let’s learn the code now. This is what I typed at the top of this post. When you see the ` - that character means "block text" the indented type of text. You can also use the underscore or underline instead of asterisks. The text I used to type this. 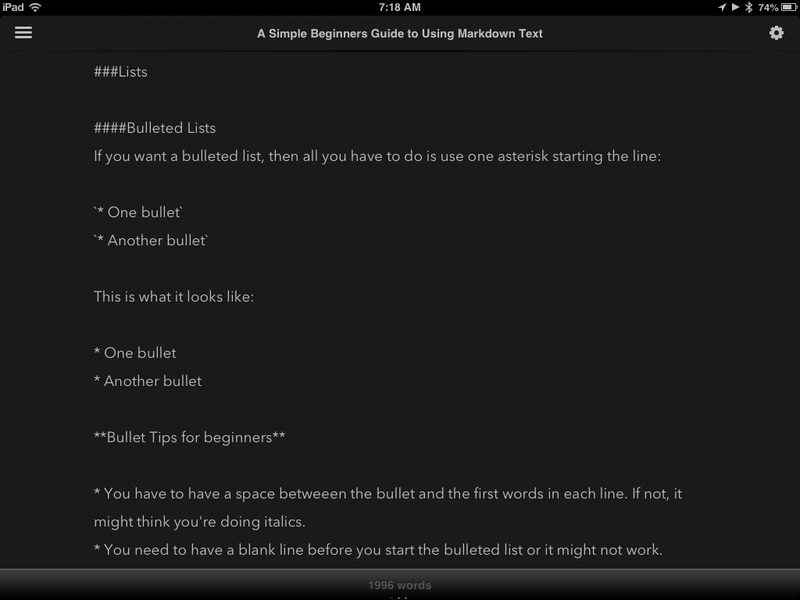 You could just type this in your Markdown editor and preview it to see how it works. You really should DO this to get it. You have to have a space betweeen the bullet and the first words in each line. If not, it might think you’re doing italics. You need to have a blank line before you start the bulleted list or it might not work. Numbered lists are very simple, just press enter and type a number and a period. Markdown will make you more productive when you use it. We all learn things to be more productive including things like touch typing. Mark down takes far less time to learn than touch typing. Once an app sees you’re typing numbers, it will automatically put them at the beginning of each line when you press enter. Just press backspace and get rid of the numbers when you’re done. You can mix numbered lists and bullets together any way you wish. You can’t format the numbers to be Roman numerals - it is just simple 123. Hyperlinks are a bit tricky. NOtice that there are NO spaces between the first bracket  and the parenthesis (). 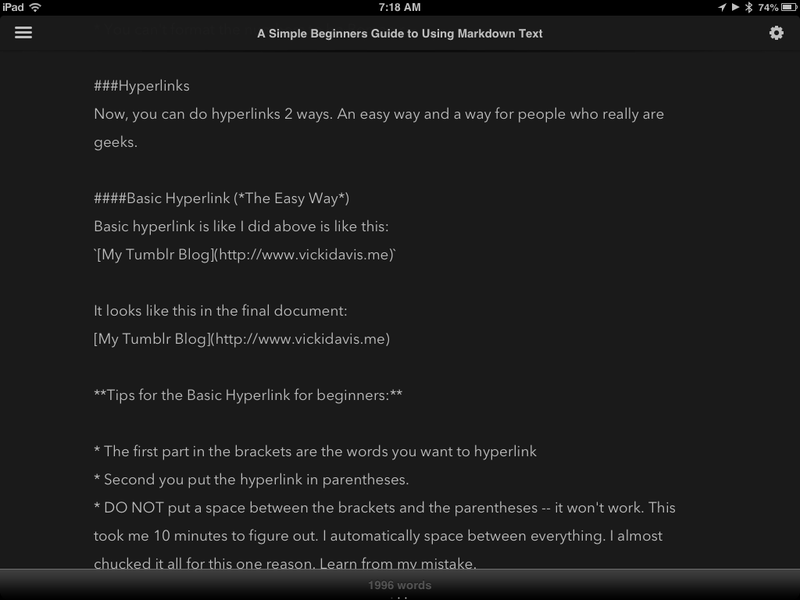 Now, you can do hyperlinks 2 ways. An easy way and a way for people who really are geeks. Second you put the hyperlink in parentheses. DO NOT put a space between the brackets and the parentheses – it won’t work. This took me 10 minutes to figure out. I automatically space between everything. I almost chucked it all for this one reason. Learn from my mistake. Let’s say that you are going to do a blog post or something longer with many hyperlinks. This is for advanced users but it works. If you’re a beginner, SKIP this section! Trust me. So, if you have a hyperlink that you’re going to use and reuse, let’s say a Twitter handle or two. Here’s how you can do that. Type in the words you want to hyperlink in brackets. Where the first thing in brackets is the letter you want to use, then the colon and then the hyperlink you want to use. Any time you want to use that link just put the letter in brackets behind it. See how I wrote the words above in the original draft. Note you typically want to only use something the first time it is mentioned to prevent clutter unless absolutely necessary. If you are using an ipad and know you’ll use things like your Twitter handle a lot, you could use autotext and paste your links at the bottom of each post and then just use the letter. This is a big time saver. 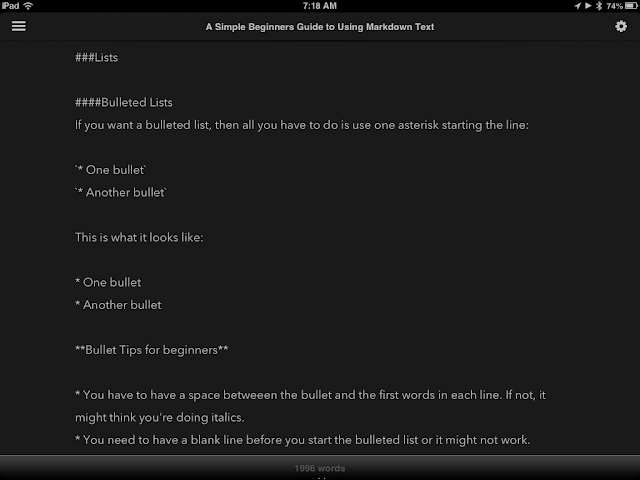 Autotext lets you automate text you use a lot. If you do not have the hyperlink typed at the bottom, it won’t work at all and the text will look just like you typed it. You must do Step 4 above or it doesn’t work. Don’t repeat letters in a document. You start over in a new document and have to retype the definitions at the bottom. This means you can reuse the letters in the new document. What if I want to link to an image? This is a bit tricky because the image should already be up on the web. I would hold off on this unless you’re advanced. If you are, instead of a hyperlink, you paste the link to the image second. Remember, if you want a repeating image, it will work the same way as above. So, I’ll do a simple image like this (sorry the link is so long). I found an image I wanted to show and copied the image link. You get there on an ipad by opening the image in a new tab by itself. Usually it ends in .jpg called a “j-peg.” ! “Innovate or depreciate.” Vicki Davis. When do we use blockquotes? We use blockquotes when we are quoting another source. This is good netiquette and more ethical than not using them. It is just something that developed as bloggers wrote. Can we combine this with what we’ve already learned? Yes! You can mix these things together. So. There are 6 levels of headings. How those headings look are determined by the blog or software you’re using. Your headings will NOT look like my headings. They also won’t look like they do in preview. TEST TEST TEST YOUR HEADINGS! - That is why an experimental post like this makes sense. I’m helping you and learning the code while being transparent that I might (and will) mess up the first time this post goes live! Some people put the number signs at the beginning and end of the heading but it is not necessary. Think of headings as outlines. If you are blogging, Headings are important parts of SEO or “search engine optimization.” This means that you should put your most important words in headings. If you’re taking notes, processing the notes by making lists (or even mind maps) is shown [by research] (http://wac.colostate.edu/journal/vol16/boch.pdf) to improve the use of notes. This is why I like to use headings, bullets, and numbers when I take my notes into Evernote. I’ve been showing you the code I’m typing by using the ‘backtick’. located to the left of the 1. I can’t show the backtick because this is the one thing that won’t show this way. But you can see it in the screenshots above. *If you don’t have a blank line in front of the horizontal line, it might not show and it will mess up the heading or items in front of it. Another hard lesson learned. When you have 2 or more spaces at the end of the line and press enter it makes a manual break. A manual break means one line in front of the other. Tips for manual breaks If you want a full line in between, make sure that you press enter twice. I used the Markdown syntax guide from github to test and make this work. So, how will someone use this? Again, if you are already writing a lot - including blog posts, Evernote notes, books, and more… this can save you time. Any time your hand leaves the keyboard to do something whether it is swipe or click a mouse, you slow yourself down. When time is money and you’re working to draft or keep your wordcount up, typing in an app like Byword and using markdown can save you time. I’m still learning markdown and will share how I keep using it. As with all productivity tips, time will tell. However, many productivity gurus I trust are using this type of app and for me, that means it is time to take a try. For now, after about a week of learning it, I'm using it more than three times daily, at least. Emails that are longer than a few sentences and longer notes for Evernote, I'm typing them in Byword first. It syncs to Dropbox as well. It is a bit interesting if you forget to export it and want to do that on Windows 8, but I've found an app that will do it there as well. Just remember, it is just a fast way to format and type designed for writers who are willing to try something new. If it freaks you out, don't do it. 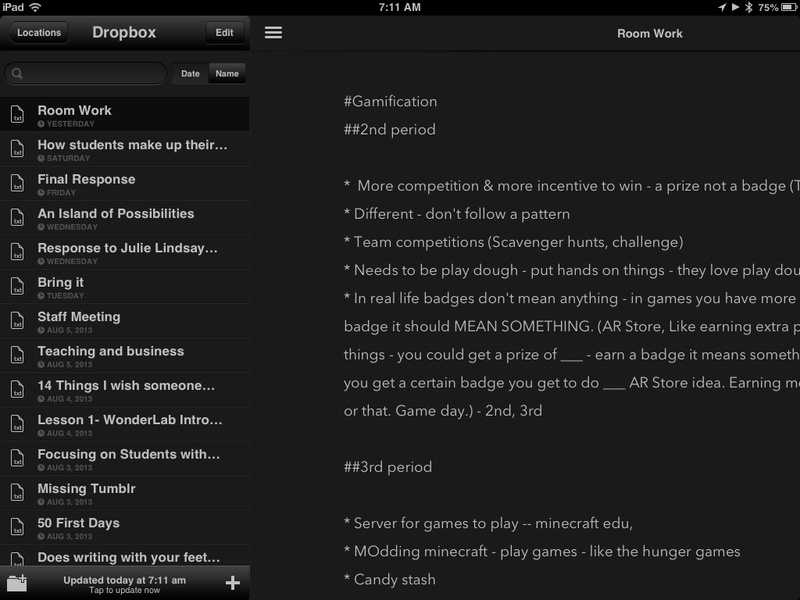 I’ll experiment with markdown for taking Evernote notes and for writing. I’ll let you know what I think. Right now I’m syncing with Dropbox for this blog post and I’ll generate the HTML and paste it into Blogger. How are you using markdown? I would love to hear from those of you who’ve beat me to this trend and are already using it. Do you mind leaving your thoughts in the comments or sharing links to blog posts you’ve written about why you like (or don’t like) markdown? As always, thank you for helping disseminate best practices. We all become more productive when we learn and share together! This is a tad geeky for some but sometimes the most useful things are. Enjoy and, as always, please help others by leaving comments below or a link to your own blog post to help others learn about this handy method of writing. "I'm so happy. I think all my teachers seem to like me ok."
Do students think you "like" them? This seems odd but students really want to know if you like them. Are you going to be fair? Are you going to give them a chance? "I already have one teacher who loves me! I know it because she let me talk about Minecraft." But when we say "talk" - after asking his teacher, it was a passing mention. But it was enough to trigger a powerful positive response from my son. When you fish, you try to predict the bait the fish will like. It is based upon what they like to eat anyway. 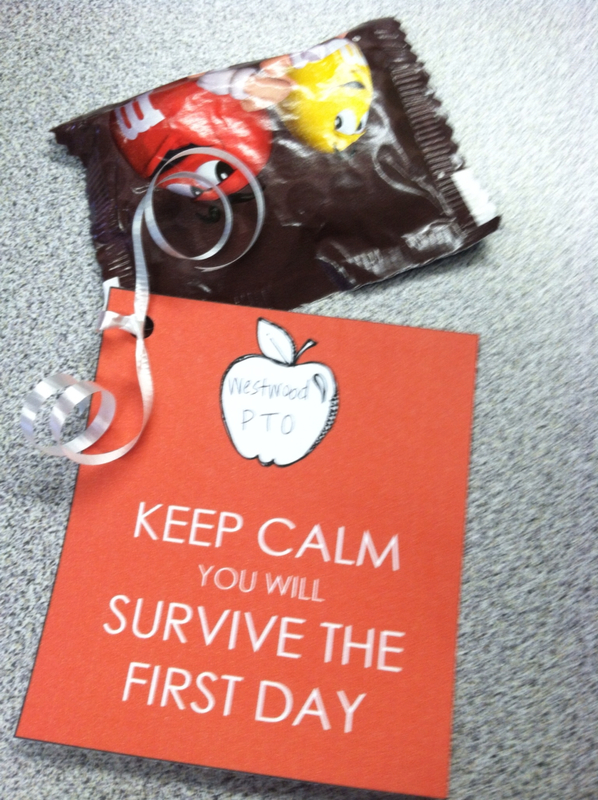 Sweet reminder from our PTO. It made me smile. We're not teaching robots. We're working with humans. I've had students who say they aren't good with technology but have a good relationship with me and end up good with technology. It happens every year. Every child won't "love me" but I can promise you I'm going to do my best to love every child. I won't necessarily be the popular teacher but I will be memorable and one they thank when they come back. We will laugh and we will have fun. Their eyes will open wide with surprise when they realize how much they've learned. It is the beginning of a new school year and a tough one for me (see my earlier posts) yet I believe in the first two days that my students know I'm interested in them and helping them reach their full potential. I've expressed an interest in their interests. I've shared with them how I teach and what I expect from them. I hope they feel about me like my son feels about his fine teachers in sixth grade. I hope they are open minded, excited, and that deep down they feel liked and perhaps even they already feel the love I have for them. I don't fake it - I don't have to. It is how I feel and how most good teachers feel about their kids. for the good, loving teachers you meet. welcoming kids to the learning land. more about this subject they'll know. for a teacher whose purpose in life she's found. to encourage, teach, and inspire the mind. to learning & living until I reach you. As you sit in my classroom and traipse down the hall. All will learn here to your own ability. As we find talent, you'll find I'm quiet nobility. I'm here to help you learn to share. but most of all I'm here to teach!